Fugro has completed a seabed survey for the Viking Link one of the longest DC electricity interconnectors that will link the UK and Danish electricity supplies. The Viking Link, a joint venture between the UK’s National Grid and Denmark’s Energinet, is a proposed 1,400-megawatt high voltage direct current electricity link, which passes under the North Sea, from Revsing in Denmark, to Bicker Fenn in the UK. The interconnector will enable more effective use of renewable energy, access to sustainable electricity generation and improved security of electricity supplies. Awarded in February 2016, the contract to survey the 630-kilometre marine section of the interconnector’s route involved many of Fugro’s specialist disciplines. The survey started in March 2016 in Danish waters, and crossed the southern North Sea through German and Dutch territorial waters, before ending in the UK. Water depth and sediment data were collected using multibeam echosounder, side scan sonar, magnetometer, pinger and sparker over the full corridor length of the link. Offshore and nearshore geotechnical investigations included vibrocore and cone penetration testing. A remotely operated vehicle (ROV) was deployed to identify and locate subsea assets, such as cables and pipelines that cross the proposed Viking Link route, and measure the burial depth of the assets. The ROV also recorded video and multibeam echosounder data. 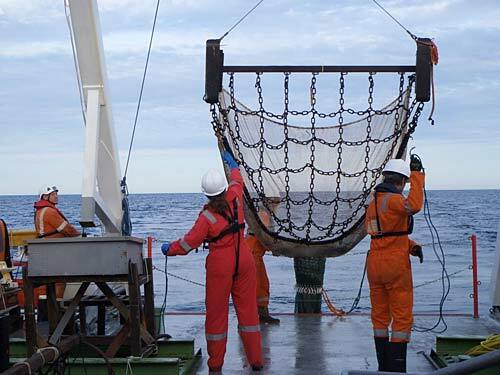 To identify the ecological environment, Fugro carried out benthic investigations including grab samples and photography. The survey was successfully completed in six months and the data gathered by Fugro will inform further feasibility assessments of the route’s viability. Construction on the Viking Link project is planned to start in 2018 and is planned to be operational by 2022.